South African prosecutors pressing a murder charge against Oscar Pistorius secured a meeting Thursday with Apple officials in the United States over accessing potentially crucial evidence on the double-amputee athlete's locked iPhone. South African prosecutors pressing a murder charge against Oscar Pistorius secured a meeting Thursday with Apple officials in the United States over accessing potentially crucial evidence on the double-amputee athlete's locked iPhone, they said. Pistorius claimed he forgot the password for the cellphone, one of a number found at his upscale villa after he shot dead girlfriend Reeva Steenkamp February 14, 2013. Investigators have been seeking help from Apple through the F.B.I. since last year to get access to the phone, a spokesman for South Africa's National Prosecuting Authority said. Investigators from South Africa would now meet with Apple officials Thursday at the tech giant's headquarters in California, spokesman Nathi Mncube said. Pistorius' trial starts Monday, giving both prosecutors and Pistorius' defense team just four days to analyze any information on the iPhone. Prosecutors would be obliged to also give any evidence they find to Pistorius' lawyers. "It can only add on the evidence we already have," Mncube said in an interview with TV station eNCA. "It cannot be prejudicial to our case. The people concerned, should the evidence be favorable to us, are the defense. Then we have a responsibility to make it available to them as soon as we have it so they can also prepare for the trial." Mncube also confirmed the meeting and the reason behind it separately to The Associated Press after his telephone interview with eNCA. 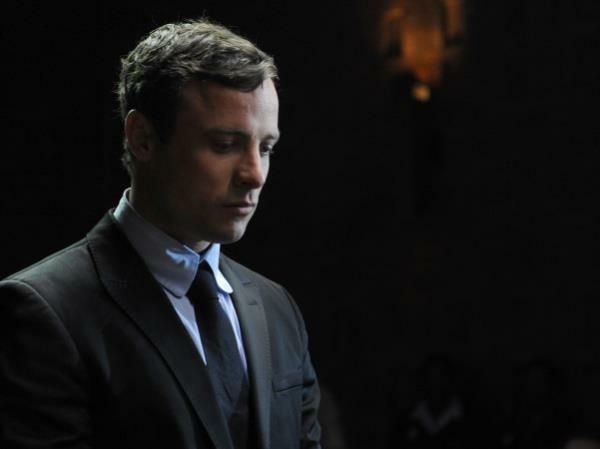 The prosecution maintains that Pistorius had a fight with Steenkamp before killing her, a cornerstone of its case, and information on the Olympian's phone may shed light on events before the pre-dawn shooting last Valentine's Day. Pistorius says he shot the model and reality TV star after mistaking her for a dangerous intruder. South African prosecutors hope to have the information from the phone by late Thursday, Mncube said, adding that they would make any evidence from the phone available to Pistorius' defense lawyers. He wouldn't comment on what prosecutors might be looking for on the phone. But even without access to Pistorius' iPhone, Mncube said the state had enough evidence to support the premeditated murder charge. Court documents indicate prosecutors are expected to build much of their case against the world-famous runner on witnesses who the state claims will testify to hearing a woman in Pistorius' house screaming before the sound of gunshots. That suggests a fight and contradicts Pistorius' version of events. Prosecutors also will likely try to use the trajectory of the bullets from the four shots fired by Pistorius through a toilet door to show he intended to kill Steenkamp and was not fearful and acting in self-defense. "We are very confident that we have sufficient evidence," prosecution spokesman Mncube said. "And that the evidence we have already will be more than sufficient to secure us hopefully a conviction in this matter." Prosecutors are seeking a life sentence for Pistorius should he be convicted of murder in Steenkamp's killing, meaning he would have to serve at least 25 years in prison before being eligible for parole. There is no death penalty in South Africa.